”We can see what’s happening but we are concentrated on our own task. That’s to win matches and make the fans happy,” he said on Monday, a day before the team’s Champions League match against Olympiakos. Lawmakers in Catalonia’s parliament declared independence from Spain last week following a disputed referendum that triggered a constitutional crisis in the European Union member. Barcelona is playing the Greek champion at Karaiskakis Stadium. Valverde received an emotional welcome from fans of his former team. He said it would be a ”special game” for him on Tuesday. ”It’s a very emotional moment for me to return here where so many great things happened for me. I’ve been looking forward to it,” he said. Valverde’s team could qualify for the round of 16 with a win in Piraeus, and depending on the result of the other Group D match between Sporting Lisbon and Juventus. 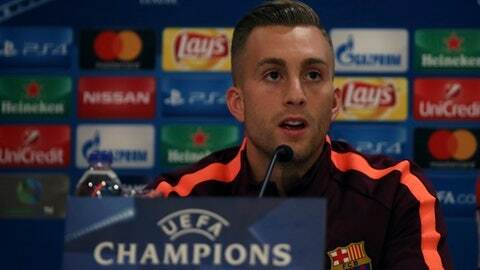 He said he hoped defender Javier Mascherano recovers from a minor injury to be available. Olympiakos has lost all three of its group matches, and has suffered from an unusually shaky performance in the Greek league, losing for a third time this season to historic rival Panathinaikos 1-0 on Saturday. Barcelona leads the Spanish league, and Deulofeu described Real Madrid’s surprise 2-1 loss in his home town of Girona on Sunday as a bonus for Barca.